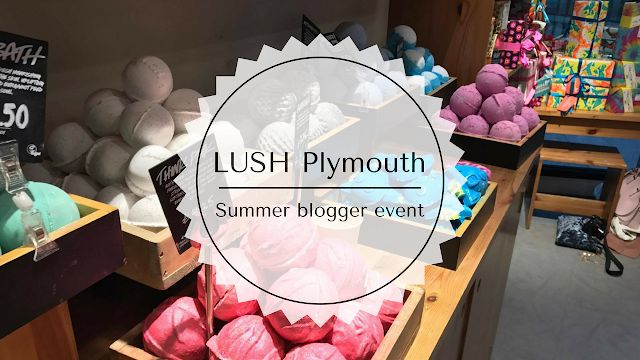 On Friday the 4th of August, I attended my first proper blogger event at my local LUSH in Plymouth and despite the pre-event nerves and anxiety, I am definitely glad that I decided to go because it was a really good experience, I managed to socialise a little bit(baby steps and all that) and I came away feeling proud of myself with some amazing goodies to try out! The first products I had the chance to view were the new hot oil hair treatments. 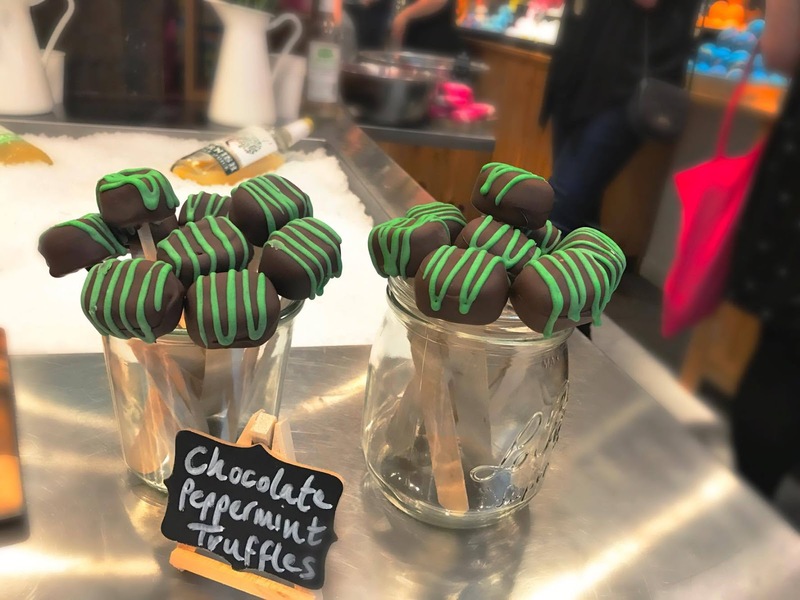 I'm yet to try the one I picked out to take home which is Yuge but I am so excited to as it is a wonderful peppermint smell and I've heard so many good things about it already from the girls in Lush. The effects of these treatments last up to 6 weeks and with the new formula, you don't need to use all of the product at once so you can use a little bit every couple of weeks. For me, this is always a big bonus for a product because I hate feeling obliged to use all of it at once. 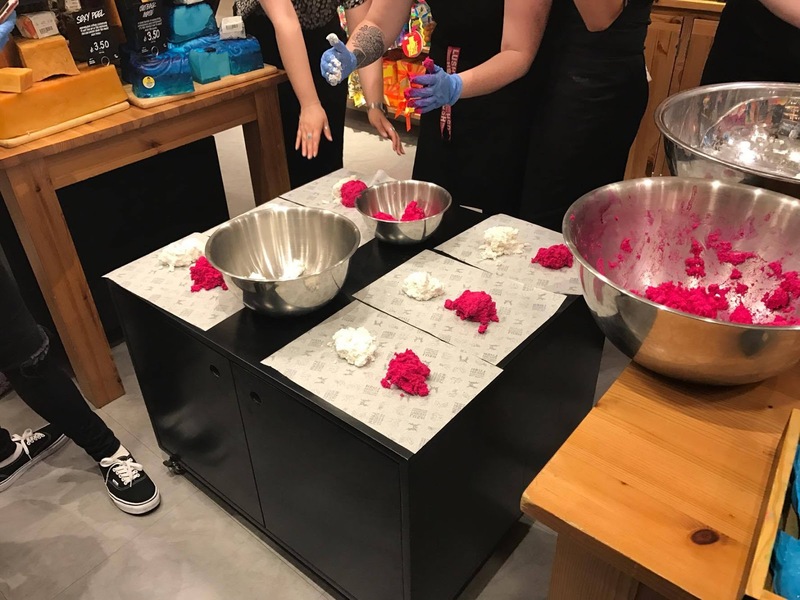 We then watched a jelly face mask demonstration and these were probably my favourite part and something I will definitely be going into Lush soon to purchase more of. I knew from the start that my favourite would be Just To Clarify and as I type this, I am using the mask right now and loving it. 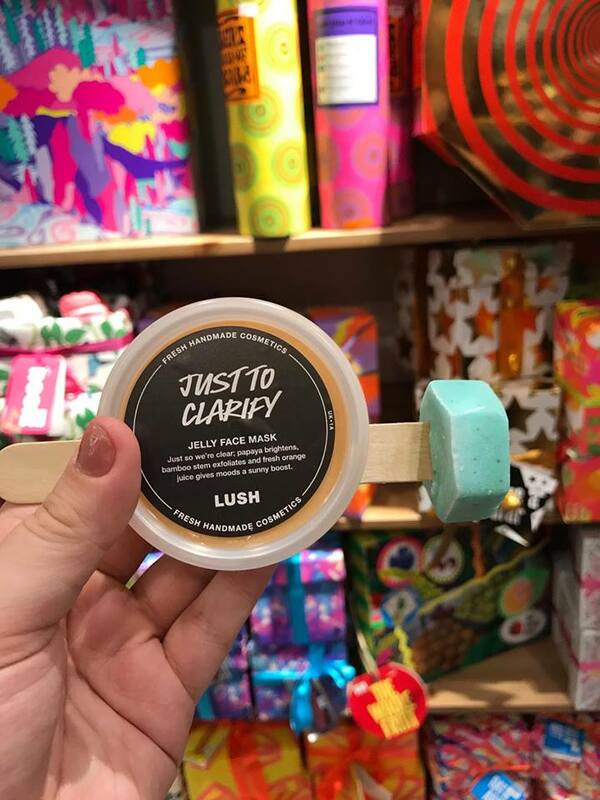 The smell is amazing and is the only one of the new face masks that has a scrubbing agent in as well as charcoal capsules which you can use on specific areas - safe to say I will be purchasing this! However, for now, I feel incredibly lucky that this was gifted to me by the lovely LUSH team because it's perfect when trying to have a relaxing evening. I think the next ones I want to try out are 1000 Millihelens and FOMO. 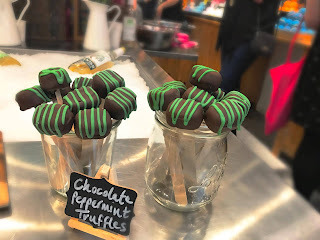 I've also got a couple of ideas to include these in gift hampers around birthdays and Christmas but there will be more on that soon. After we were introduced to the new products, we then had the chance to make our own Comforter bubble bars which we could then take away with us! This was a really enjoyable activity but I can't say that mine looks much like the original Comforter as it is much harder than it looks to get that swirl between the pink and the white. 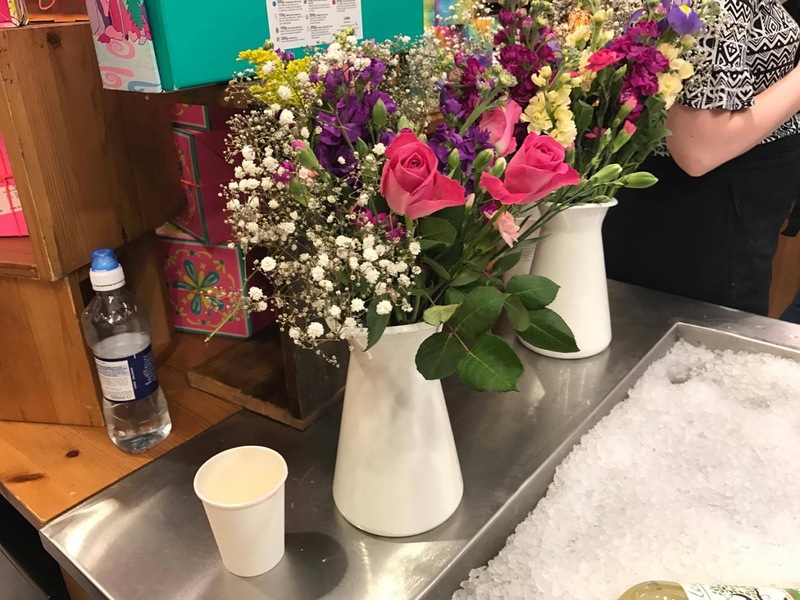 However, this was a really nice way to end the official part of the event as then we all chatted a bit, got to pick out our products to take home with us and that was the end of the evening. 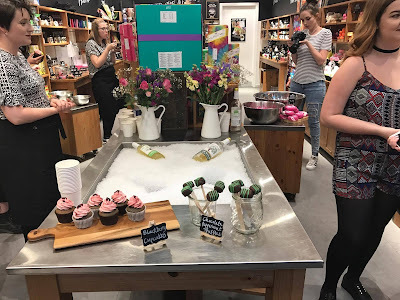 Thank you to the team at LUSH and all of the other bloggers for making it a fab evening and helping me to feel comfortable at my first blogger event. This looks like such a fun event! I don’t often shop at Lush but when I do, they have the most lovely staff and all their products are amazing! 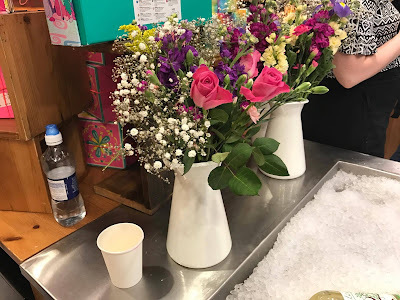 It was so lovely! Yes the staff in LUSH are always great and who doesn't love the products?